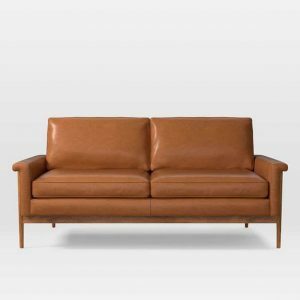 5 Stylish Apartment-Sized Furniture Pieces | Havenly's Blog! Even if you can fit a full size sofa in your place, sometimes the stairs make moving it there challenging. Enter the loveseat. It’s still big enough for friends, but fits more comfortably in compact spaces. Pick a quality, timeless piece, and someday when you have more space, you can use this as a secondary sitting area. First of all, this midcentury style sconce is only $34. Second of all, it’s a genius small space hack because it frees up your bedside table or makes it completely obsolete. 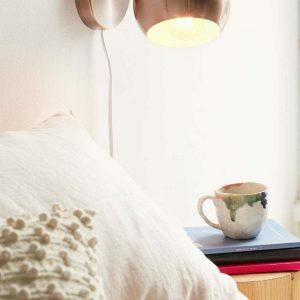 Save space by mounting these all over the place, wherever extra lighting is needed. With the exposed cord, you don’t need fancy custom wiring to get the sconces in place either. Seating is always important, no matter how small your space. But, picking a chair for its scale is important. 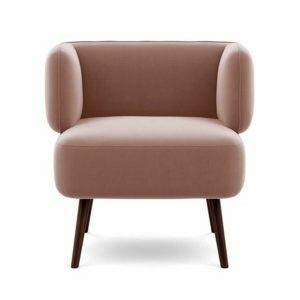 This slipper chair has bold lines but isn’t visually bulky like a club chair or recliner. We also love the different fabric choices: a pretty pink velvet would add a nice colorful accent without being too out-there for any future homes. 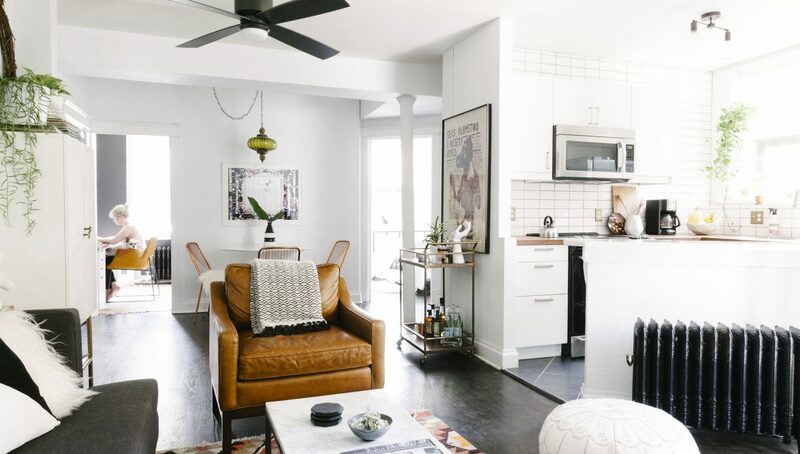 Pieces that do double duty are the best for a small space. 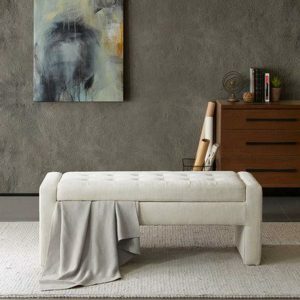 This bench would look awesome at the foot of a bed or even just in an entryway. It looks luxe because of the upholstery, but provides the all-important closed storage wherever you place it. A good bookshelf is key to organized living, even in a small space. This piece doesn’t have too much visual weight, which keeps things open even when you need the functionality. 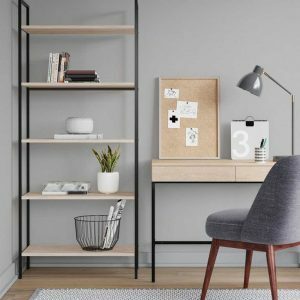 Plus, it’s from Target’s Project 62 line, which is designed for small spaces.